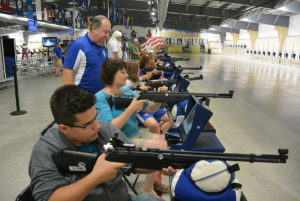 The Civilian Marksmanship Program maintains two permanent Air Gun Competition Centers: one in Camp Perry, Ohio, and the other in Anniston, Alabama. 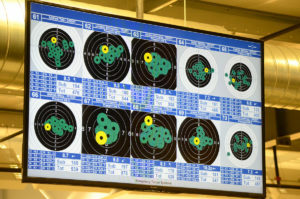 These centers are world-class air rifle and air pistol training and competition facilities that feature state-of-the-art electronic targets at each of the 80 firing points the locations house. All shots are instantly displayed on monitors beside each shooter and on display screens visible to spectators in the center area of the range. The facilities also feature common areas with classrooms, offices, restrooms and a foyer. 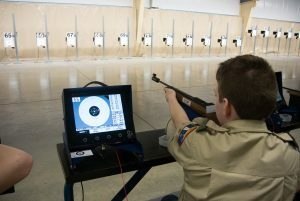 The competition centers host an array of air rifle and air pistol events throughout the year. Marksmanship Nights are also held at these locations every Tuesday and Thursday evening. During the National Matches in July and August, we host the National Match Air Gun Events at Camp Perry. The range is open throughout the summer for Air Gun Events and public Marksmanship Training. Visit our website for more information and to download a schedule. Participants in the indoor Monthly Airgun Bench League will fire lightweight, quiet air rifles from a sitting position – perfect for the older, intermediate and younger generations. Come visit the range in Ohio and participate in our Monthly Bench League Match. 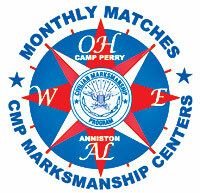 Visit http://thecmp.org/air/cmp-competition-center-event-matches/cmp-airgun-monthly-bench-league/ for more information. In addition, CMP has constructed a portable air rifle range in an effort to expand its outreach to shooters around the country. The mobile range has 100 electronic target firing points, very similar to what is in place at the Camp Perry and Anniston locations. 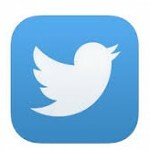 Click here for the latest information on our mobile range. All three ranges can be rented for a fee for your next event. Contact information for each is listed below. In an Area Near You!